Chief Dull Knife College (CDKC) college offers affordable, quality educational opportunities to residents of the Northern Cheyenne Reservation and surrounding communities. Although the original curriculum of the college was directed at training students for mining jobs near the reservation, the college has quickly expanded its offerings to include post-secondary transfer programs. The college offers a variety of associate’s degree and certificate programs in agriculture, Native American studies, education, allied health, biology/pre-med, environmental studies, and computer information systems. The College of Menominee Nation (CMN) The college provides opportunities in higher education infused with American Indian culture and prepares students for careers and advanced studies in a multicultural world. CMN has a main campus located on the southern border of the Menominee Indian Reservation and also operates a campus in Green Bay, WI that serves many students from the Oneida Nation. The Comanche Nation College (CNC) shall provide students with a high quality and relevant education that is Comanche-centered, based on the tribal culture, language, history and values that will provide all students with the necessary knowledge, skills and experiences to function successfully in a multicultural society. CNC provides opportunities in higher education and career tech programs that integrate both traditional and non-traditional knowledge and have a culturally responsive connection to the American Indian communities and others. The College of the Muscogee Nation, the state’s premier tribal college, has degree programs to meet the unique needs of students seeking careers in the tribal sector. Degrees will also serve as a foundation for a bachelor’s degree. Students can pursue associate’s degrees in gaming, Tribal services, police science, and Native American studies with specializations in Mvskoke studies and Mvskoke language. Certificate programs are offered in the Mvskoke language and in gaming. Through these programs, the college promotes Tribal economic development and strengthens the sovereignty of the Muscogee Nation. The Pawnee Nation College seeks to meet the higher educational and cultural needs of the Pawnee Nation, other surrounding Indian nations, and all who have the desire to engage in a life of learning. 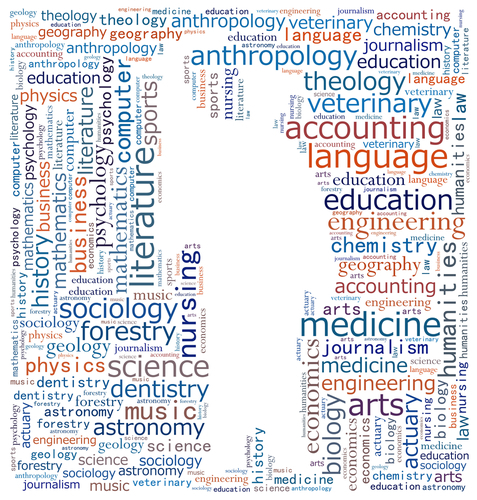 The intent of the College is to foster an awareness of rich cultural diversity in the region and its inherent complexities and vibrancies, while at the same time encouraging students to fulfill their potential through challenging academic or training programs that prepare them to matriculate to four-year institutions or to enter the workforce.